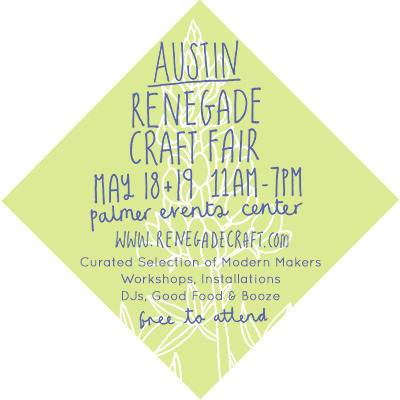 our favorite traveling craft fair, Renegade, is here in Austin again! this is the perfect time to come meet William + I and check out our wares in person. there’s quite a few new items we’ve been rolling out over at Son of a Sailor Supply, and we’ll have our best jewelry available. We are also crossing our fingers that we’ll be able to participate in Renegade Chicago, so keep your ears open for that announcement! William and I really love the interaction with our friends and followers at these fairs. So, if you’re around, make a point to come say hi!